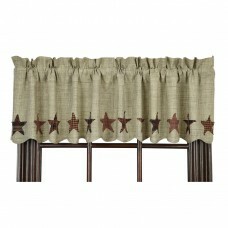 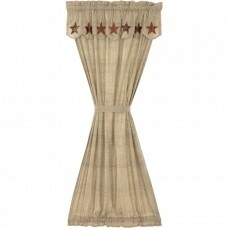 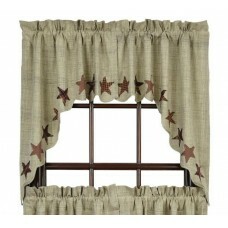 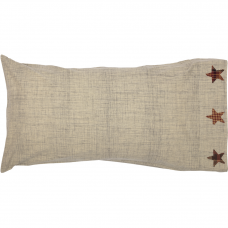 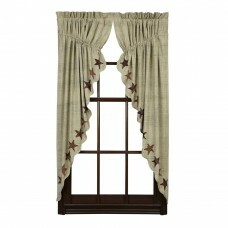 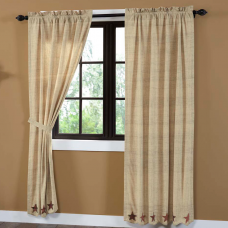 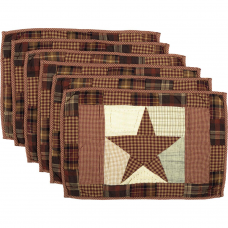 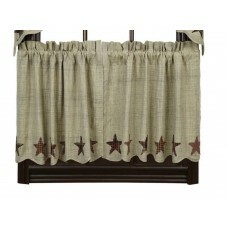 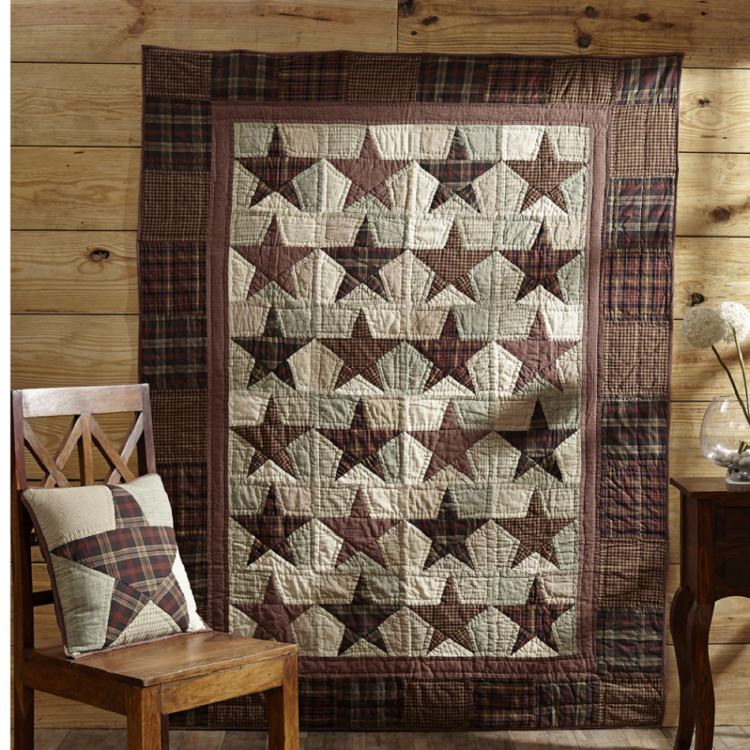 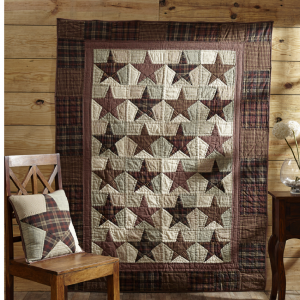 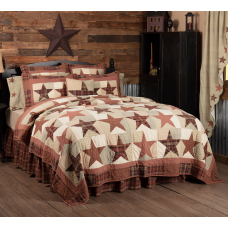 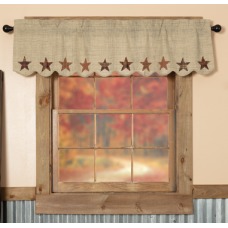 The Abilene Star collection features a star patchwork. 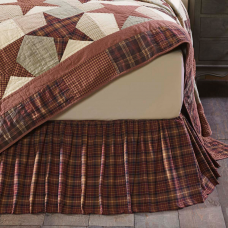 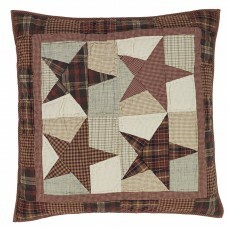 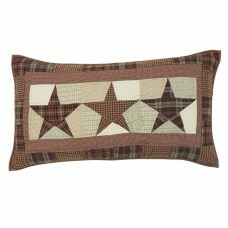 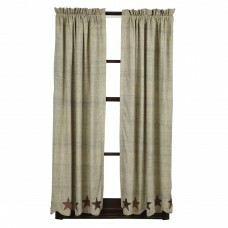 Stars alternate with various check and plaid stars in reds, light tans and browns. 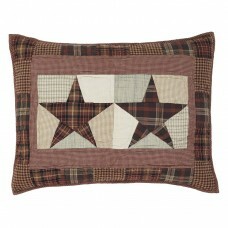 The back of the throw is a ark red and brown plaid. 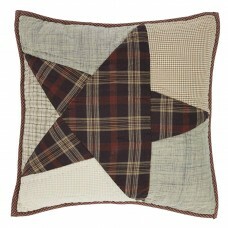 The throw measures 55"x70". 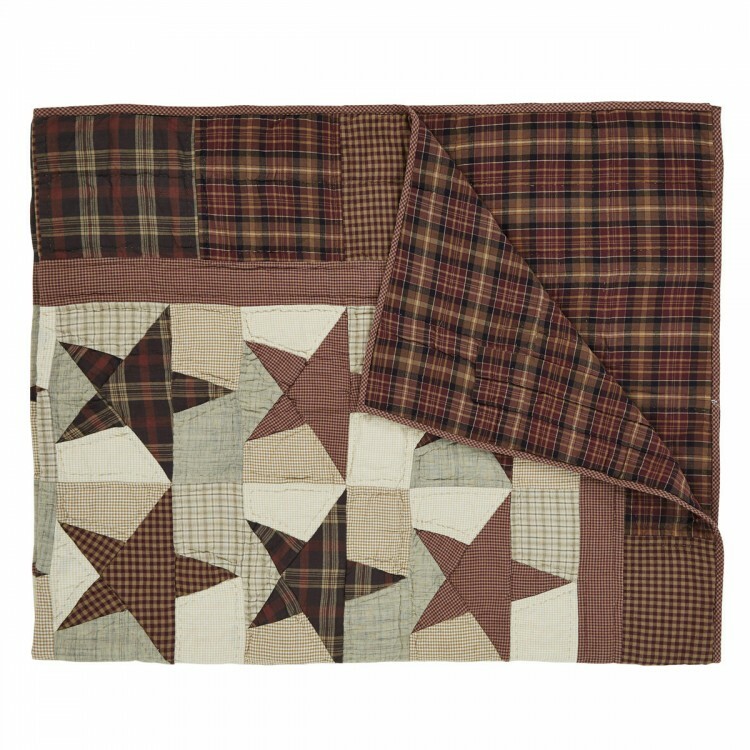 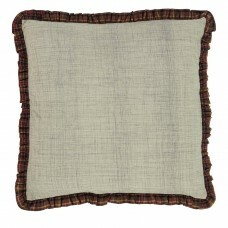 The throw is hand quilted with stitch in the ditch quilting and features a 2" rod pocket for display purposes.